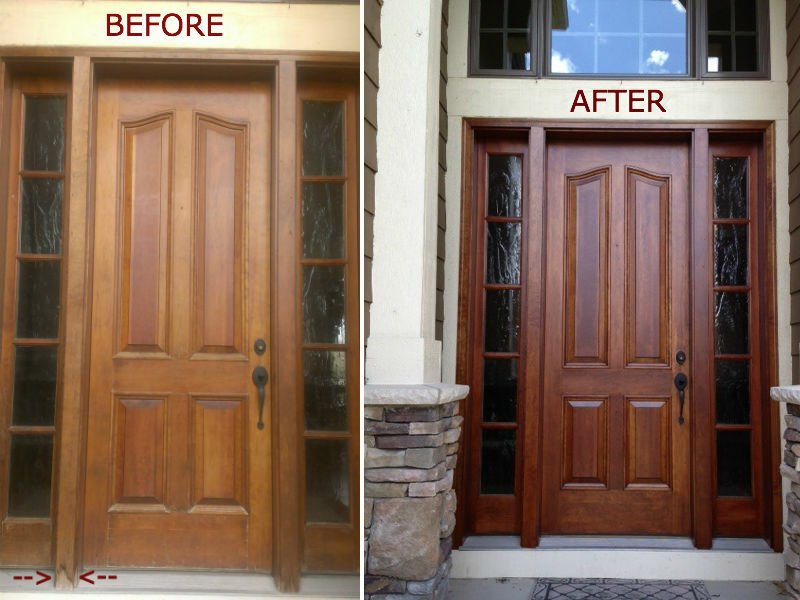 Your front door is the first thing people see when they come to your house, so you want it looking its best! In this recent project, Painterati sanded down the door and re-stained it. There was some damage to the bottom of the door, as you can see in the picture, so Painterati replaced the door trim and sanded and stained it to match the door color. This front door is now looking like new. Bring on the visitors! To avoid a front door fiasco, call Painterati today and get started on your project!